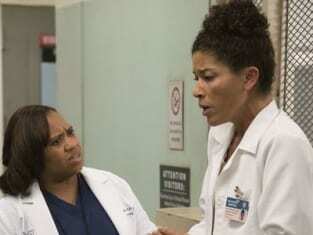 Bailey treats patients at a maximum security women's prison on Grey's Anatomy. "You Can Look (But You'd Better Not...)" is the tenth episode of the show's 13th season. 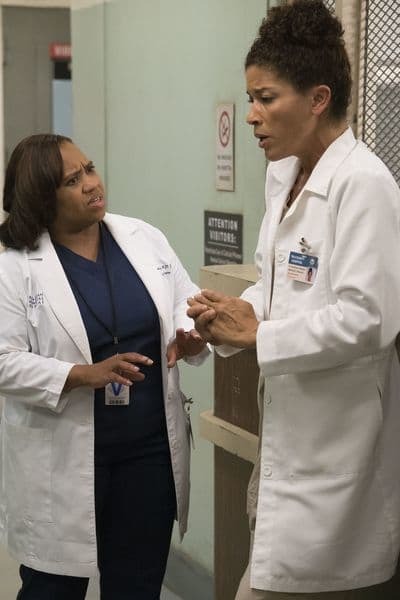 Grey's Anatomy Season 13 Episode 10: "You Can Look (But You'd Better Not...)"
Grey's Anatomy Review: Let's Make a Deal? TGIT Return Delayed: Find Out Why! Correctional Officer: Visitor's pass. Keep them on you at all times, you will not be let out without them. Stuff does not just happen to you. You happen to stuff. Permalink: Stuff does not just happen to you, you happen to stuff. Grey's Anatomy Season 13 Episode 10 Review: Let's Make a Deal?